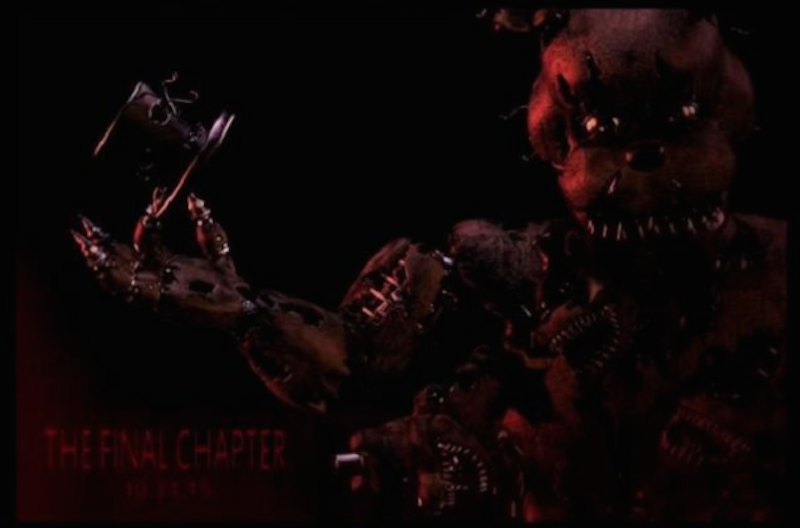 Via the official Scott Cawthon website, here’s a teaser image for the next Five Nights game. This one will presumably actually be the last one in the series, judging from the title (but who knows with this franchise, really). What in the world is going on with Freddy’s body, though? The game drops on Halloween, it looks like—which means it will be in development for a while longer than prior games. Earlier this year, a Five Nights at Freddy’s movie was announced. Scott Cawthon will be involved in some capacity, but he’s still going to be working on games, too—as evidenced by this announcement!